Please enter your email and we will send you back your password. Registration for the PCIM Asia Conference from 26 - 28 June 2019 is binding. Participation fees are due on registration with payment by bank transfer. An invoice covering the fees will be issued by mail. Once the registration process is complete, you will receive an e-mail booking confirmation including an entry voucher to the Shanghai World Exhibition and Convention Center; please make sure to bring this along. Your conference documents will be issued on site at the conference counter. Cancellations will be accepted in writing only. Cancellation received by Guangzhou Guangya Messe Frankfurt Co., Ltd. by 23 May 2019 will incur a processing fee of 100 RMB. Thereafter if the participant does not attend, the full fee will be due. If a participant is unable to attend, a substitute may be nominated. Guangzhou Guangya Messe Frankfurt Co., Ltd. has the right to create videos, photographs, sound recordings, and drawings of the conference for documentation purposes or for publication, on the Internet and for advertising purposes in particular, or have them created. This right also applies to the persons photographed or recorded. Guangzhou Guangya Messe Frankfurt Co., Ltd. reserves the right to cancel the conference due to poor bookings or other reasons beyond our control. No further claims beyond the reimbursement of participation fees already paid will be accepted. The program or speakers are subject to change and no claims may be made in this respect. The conference language and presentations are in English. Visa Application: All foreigners must obtain an entry visa before proceeding to China. It is strongly recommended to process the application latest one month before departure from the country of origin. * Full Conference includes all sessions, keynotes and the poster session on 26-28 June 2019. Participation at the conference units as booked, keynotes, poster sessions, special sessions, tutorials, *proceedings on USB flash drive, free admission to the PCIM Asia Exhibition (3 day ticket), exhibition catalogue, break beverages. * Session ticket (half day) and Tutorial ticket (per tutorial) are not including the proceedings. Your ticket is personalized and therefore not assignable. Your personal data will be encrypted on being forwarded and used by Guangzhou Guangya Messe Frankfurt Co., Ltd. and its affiliated companies only. If you do not wish to receive further information, please let us know immediately. Please choose topics you interested in. This evaluation will take only a few minutes to be completed. Your statements will be treated confidentially. If you cannot answer a question just go ahead for the next one. Thank you very much for your cooperation! Please take a moment to complete this survey. Of course it is anonymous and all answers are treated confidentially. If you cannot answer a question just skip it and take the next. Thank you very much for your help! 4a. Which topics should be included into next year's conference? 4b. Which speaker would you like to see at the conference? 5. Will you visit the adjacent exhibition? 6. Which are the three most important publications that you read to get information on the subject of Power Electronics, Intelligent Motion, Renewable Energy and Energy Management? 7. Which other events in the field of Power Electronics, Intelligent Motion, Renewable Energy and Energy Management do you attend? 8. Do you have a proposal to improve the event? Short statement about PCIM Asia. We would like to use your short statement about the PCIM Asia for our promotional material. The listing of your statement including your company name in various printing materials is a great way for your company to attract attention. Please understand that we may not be able to consider all statements. 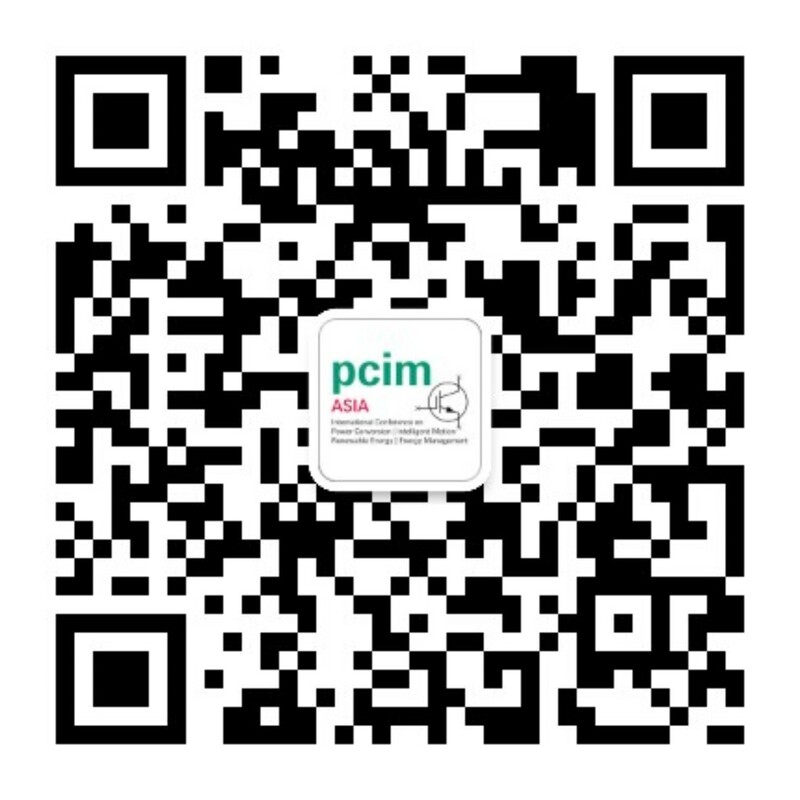 By providing your personal data you agree to the use of this data for the promotional material of PCIM Asia. All data will be handled according to China data protection laws. If you want to give a statement, please fill in the fields marked with*. Your personal data will be encrypted on being forwarded and used by Guangzhou Guangya Messe Frankfurt Co., Ltd. and its affiliated companies only. In addition, we would like to provide you with further suitable offers and services within Messe Frankfurt Group. You have the right to revoke your consent at any time with effect for the future by using the unsubscribe link in the mailing or just let us know. I also agree to receive information by email.